Born to landed Polish gentry in 1923 and sent to a forced labour camp in Kazakhstan by invading Soviet forces in 1940, Wojciech Witold Jaruzelski is perhaps one of life’s most unlikely committed communists. His forced exile in Kazakhstan not only resulted in the death of his father, from dysentery, but also led to permanent spinal injuries, and severe snow blindness and eye damage: a fact which required him to wear dark glasses for much of his later life. (His now infamous appearances on television wearing huge sunglasses were not about wanting to keep a low profile or vanity: he was medically required to wear them in front of bright studio lights). 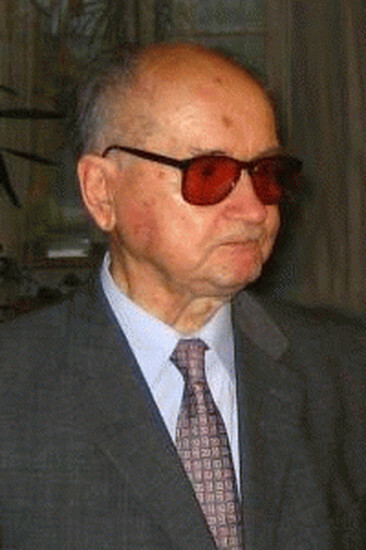 Jaruzelski is probably best known as the man who declared martial law in Poland on December 13, 1981, as result of growing Solidarity influence over the country’s working class. Jaruzelski has always defended the declaration of martial law - and the subsequent crackdown against Solidarity, including the imprisonment of its leading members - as having been the only way to save Poland from a full-scale Soviet invasion. In his words, it was the ‘lesser of two evils.’ While some documents released in the wake of the collapse of the Soviet Union suggest no such invasion would ever have taken place, an opinion poll carried out in 2001 suggested that most Poles were willing to give Jaruzelski the benefit of the doubt. Members of Solidarity - especially those beaten, arrested and imprisoned during 1981-2 are less willing to see Jaruzelski as anything less than a tyrant and a brutal dictator. The latest claims to emerge in the case - those of members of the former Czech military - suggest that troops in the Czech Republic had indeed been mobilised for a possible invasion of Poland in the autumn of 1981. It is highly unlikely, however, that until the full Soviet archive on the matter is made public, that we will ever know exactly what went on in 1981. 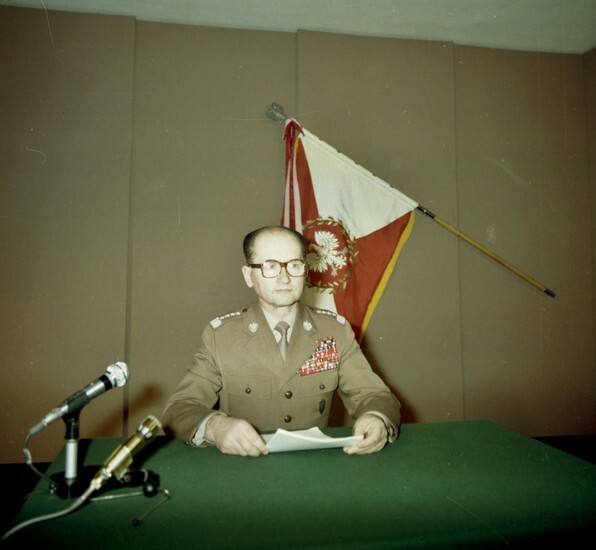 Jaruzelski rose to prominence in Poland thanks to a stellar military career which began in 1943 when the Soviets chose him to attend an elite officer training school. 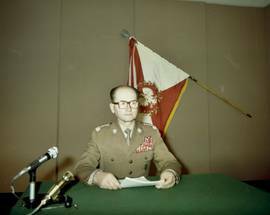 Jaruzelski took part in the Red Army’s invasion of Poland in 1944, serving in the nominally independent First Polish Army (also known as the Polish Peoples Army), which despite its name was nevertheless subordinate to Soviet High Command. Like much of his life, his role in the Warsaw Uprising of 1944 is controversial. 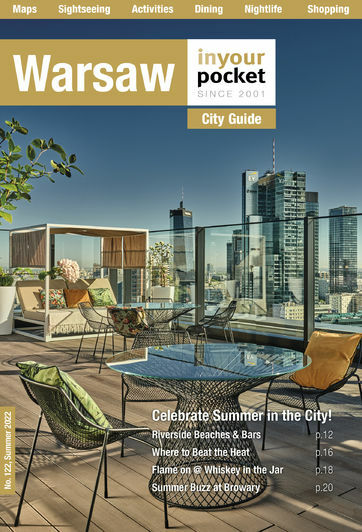 Jaruzelski at the time was allegedly just a few miles from Warsaw, as was the bulk of the First Polish and Red Armies, on the eastern banks of the Wisla. Their failure to join the battle and relieve the Polish Home Army - fighting a losing cause with the Nazis on the other side of the river - has long been held against him. That he was also allegedly active in crushing the last remnants of Polish Home Army after the war’s end doesn’t help his case much either. 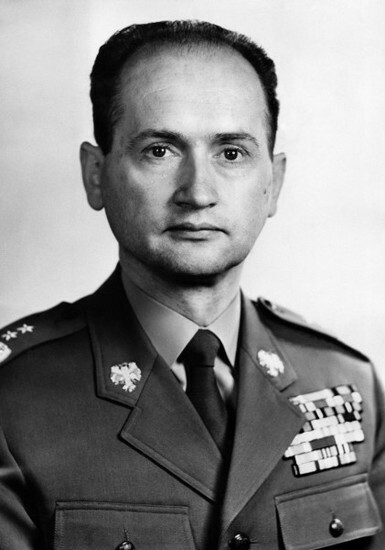 Made a general in 1955 (at 33, he was then the youngest Polish general), by 1964 Jaruzelski was made Chief-of-staff of the Polish Army - having proven himself a loyal and able officer (a sympathetic New York Times profile in 2008 described him as ‘intelligent, thoughtful, disciplined and incorruptible’). He became a member of the central committee of Polish United Workers (Communist) Party four years later, and Minister of Defence shortly afterwards. 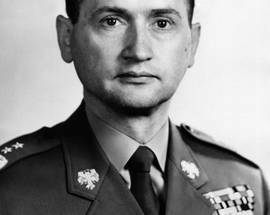 In this role he successfully negotiated Poland’s withdrawal from Czechoslovakia late in 1968: Poland had originally taken part in the Warsaw Pact’s crushing of the Prague Spring, but Jaruzelski wanted no part in the subsequent occupation. Polish troops were withdrawn and replaced by Soviet troops. Active in the party coup that saw long-time Polish communist leader Władysław Gomułka removed from office in 1970 following waves of popular unrest, Jaruzelski allegedly took a leading role in the resulting suppression of the striking workers, in which as many as 40 demonstrators were killed, mainly in the Baltic ports of Gdansk and Gdynia. Though ill-health and legal wranglings mostly kept him out of court, for all intents and purposes Jaruzelski was basically on trial for his role in those killings from 1996 onwards until his death. Jaruzelski retired from political life in December 1990 following the election of his nemesis - Solidarity leader Lech Wałęsa - as president. He officially left the army in January 1991. 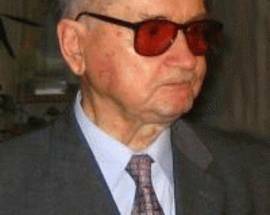 Legal battles aside, Jaruzelski kept a relatively low profile, seldom appearing in public after retiring. When called upon to do so, he never denied his role in any of the murkier events he was alleged to have taken part in. In his last speech as president, he said that he had been responsible for every man and every action, and asked to be held responsible for all crimes that were committed. “The words ‘I apologise’ sound banal,” he said. “However, I cannot find any other words.” Jaruzelski passed away on May 25th, 2014, in Warsaw after suffering a stroke earlier in the month.